There are hundreds of app stores in China, choosing which ones to submit the Chinese version of your app can be dizzying. Looking into the Chinese app market is definitely a challenge for foreign developers and companies. In a place where there are more than 200 Android stores (and only one AppStore) and Google play is a minor player, you need to know your way around. But even after you’ve decided that the Chinese app market is right for you, you need to prepare your app to be delivered the right way for this market. We are talking big numbers here, so it should be done right! When you aim for the Chinese market, use the Chinese language. Chinese people are language sensitive, so having a successful App in English only is nearly impossible. You should consider not only translation of marketing material such as the App name & description, but also translation of the App interface itself and audio if needed. 2. Don’t forget the screenshots! Your screenshots should address local preferences and at the very least be in Chinese. Don’t forget these critical pre-download marketing assets, to leave them in the original language would be a huge wasted opportunity. There are very few Apps these days that are not connected to external services or social networks of some sort. Facebook, Twitter and Google+ are all used in the West, but China has its own unique set of social networks and services, such as Renren, Weibo and WeChat. If you want to use the power of those social networks and services, you need to research which of these would be the right ones for you, and then connect your Chinese App to them. If your app is fairly independent, you’ve saved yourself lots of time! When you deal with downloads from 200+ Android stores you need to track which ones work best with your app, so you can see which store is generating the most downloads for your app and then double down in terms of time or financial investment to get the most out of that channel. In order to distinguish between downloads from the various stores, a different APK file is needed to be created with a different ID for each store to be used. 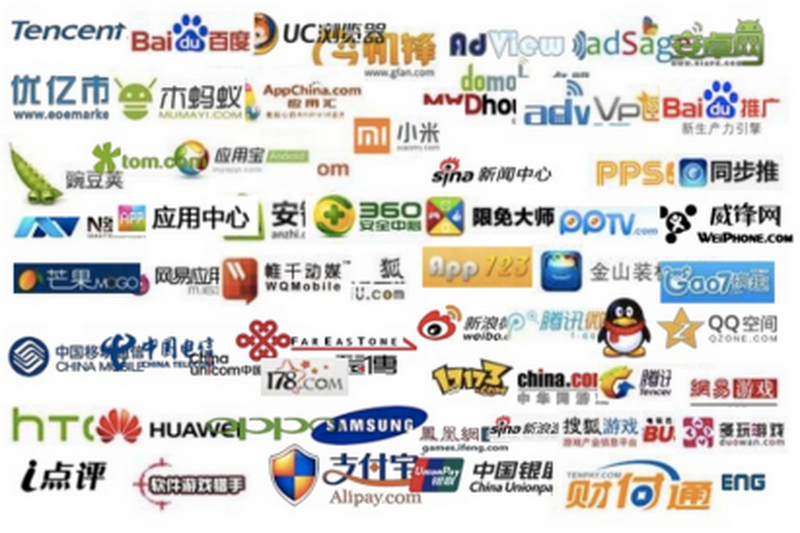 How will Chinese consumers find your App? While the AppStore or Google Play requires many downloads to be featured (and considerable marketing efforts), things are somewhat different for the Chinese Android markets. Many of the stores have packages of pay per download (PPD) or payment for being featured in the store for a certain time. It all costs money but the nice thing is that you can boost your downloads in a relatively short amount of time and quickly generate a user base. Take advantage of this option only if needed, but make sure you leave some marketing budget for it as it may be necessary. Chinese Android stores are interested to see who are the developers or companies behind the publisher name. b. Additional APK signature – Some of the Android stores require you to sign an APK file they send out with the same key as your own App. Give some serious thought to your App’s business model, as people in China are very reluctant to pay for Apps. It’s a fact. Paid Apps are therefore not as common on the market (and for those apps that are paid, free pirated versions on the hundreds of independent app stores are quick to crop up). Instead, what works best are Apps which drive revenue through In-App-Purchases or Advertising, as these are forms of paying for games and content that the China market has already built a tolerance for over the web and offline. So if you haven’t already, give IAPs or some of the local ad networks a spin. Written by Shlomo Freund, founder of AppInChina, a service helping foreign developers and companies distribute and promote their Android Apps on the Chinese market.